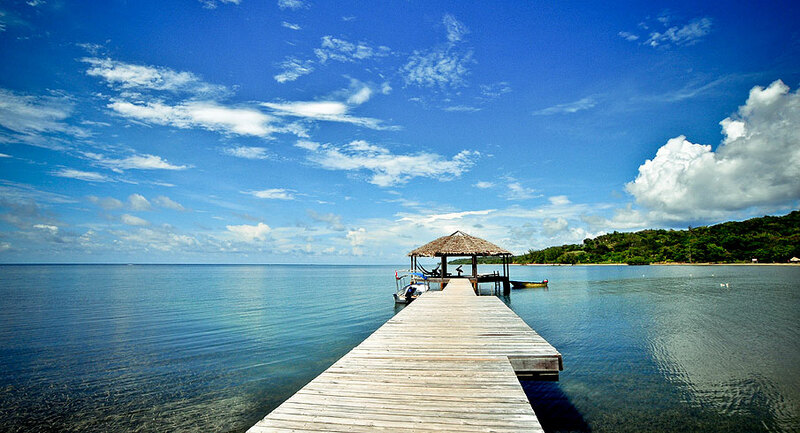 Little French Key, in French Harbour, Roatan, is a great way to spend the day. It is a private island, a short boat ride, maybe 4 minutes, from the main island. The boat leaves from Frenchy's 44, their restaurant. We went on a non cruise ship day and practically had the place to ourselves. I understand that when the cruise ships are in, it gets a lot more busy. The island is fairly big, with all little coves and beaches and plenty of chaise lounges. They have different packages available for varying prices depending on what you are looking for. Since our house is only 15 minutes from Little French Key, we drove ourselves there, though they will pick you up from anywhere on the island. It was a pleasant surprise that when we bought the tickets, they gave us a discount for providing our own transportation. They have lunch, which is included, but it was nothing special. Next time, we will eat before we go. No outside food is allowed, however, we did see people eating out of their lunch bags. They have a zoo with a lot of great animals, kayaks, paddle boards and the like. The real draw was just laying on the beach relaxing and swimming in the calm waters. If you have more energy, they also offer snorkeling and kayaking trips or you are free to explore on your own. 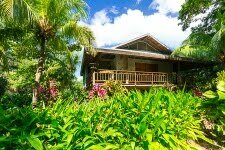 Next time you are on Roatan, check out Little French Key.